Users can improve proficiencies in interpretation of a variety of renal and extra-renal abnormalities for reduced dose CT images, improve expertise with reduced dose CT protocols, and associated radiation dose. This is an on demand activity. Course includes 16 different online cases presented in 3D data sets available through PACS viewer. Each case contains CT diagnostic report, discussion, CT dose report, and evidence-based CT protocol. This activity is intended for radiologists and other clinicians using CT imaging. emergency physicians, primary care providers, and urologists. Radiographers and medical physicists may also find this activity useful. Improve radiologists’ proficiency in kidney stones, and other extra-renal abnormalities, identification on reduced radiation dose CT images. Apply evidence-based CT protocols within their own facility. Integrate dose optimization information for patients with suspected kidney stone. 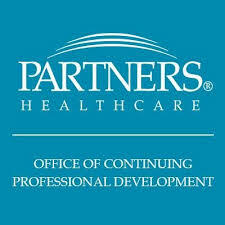 Partners HealthCare System designates this enduring material for a maximum of 4.00 AMA PRA Category 1 Credits™ . Physicians should claim only the credit commensurate with the extent of their participation in the activity.